Destiny: The Taken King brings many different ways to interact with familiar faces on the Tower. 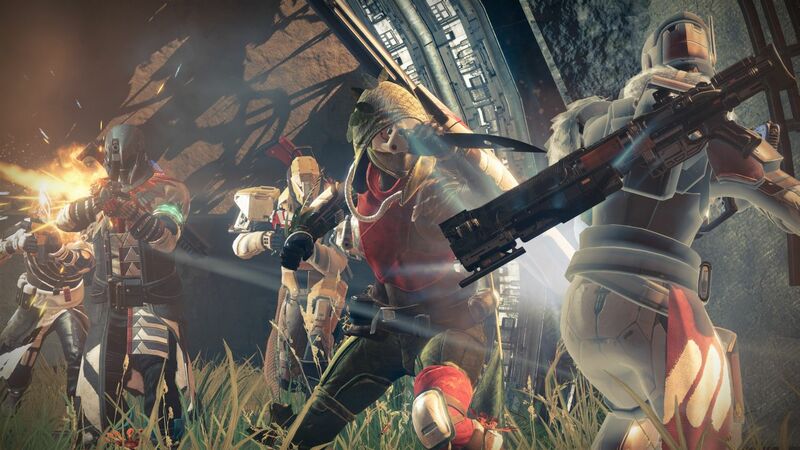 In The Taken King, Destiny players can find and equip “class-specific weapons”. We don’t have any specific details on these weapons, but Bungie community manager David “Deej” Dague told IGN at gamescom 2015 that there will be weapons just for Hunters, just for Titans, and just for Warlocks. At least some of these weapons will be obtained by performing tasks for the Vanguard. It sounds like you won’t just receive them as random drops in level up reward packages, though: you’ll actually work towards them, knowing in advance what you’ll receive, just like a quest. A similar system is available through Faction leaders. Instead of wearing a faction item and earning reputation points, you can “pledge allegiance” and work towards aiming specific rewards. Dague said Bungie wanted to make The Taken King “more rewarding” and to take some of the “mystery” out of its progression systems. Destiny: The Taken King launches for PlayStation 3, PS4, Xbox 360 and Xbox One on September 15.